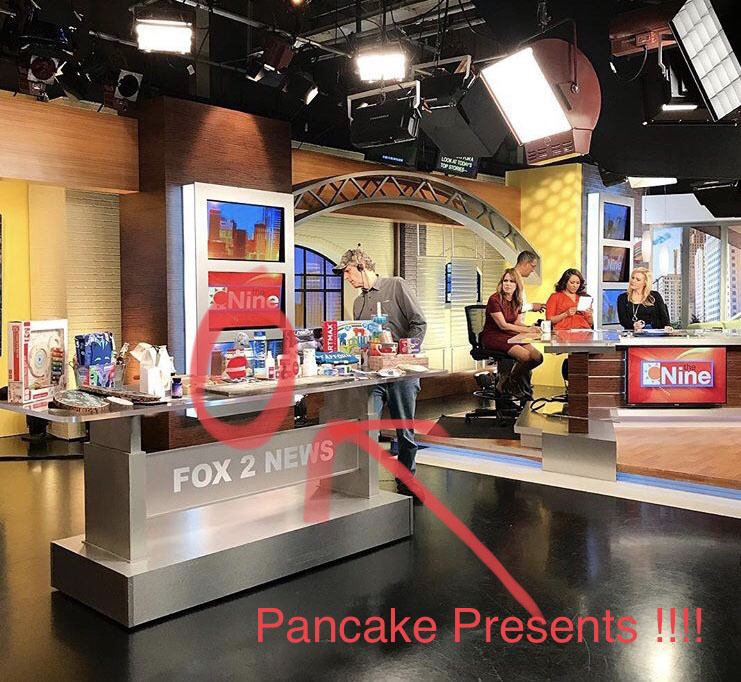 Pancake Presents made the news again! We were featured on the Detroit Fox 2 news yesterday November 22nd. This time we had to share the spotlight with all kinds of other great products from the Detroit Moms Blog Detroit Holiday Gift Guide 2017. Along with finding us in the gift guide I also wanted to mention our Black Friday Weekend sales. We are doing a 30% off coupon code for non-sale items for black Friday weekend. The Coupon code and sales will be valid through Cyber Monday. Because of such high demand, we are running low on our “Good Morning” Mold so if you would like to get some before Christmas you better move quickly before they are gone! We still have plenty of our “I Love You So Much” Molds, and “Happy Birthday” Molds. Make sure to check out the amazing sale we are having this weekend on our Pancake Mix Gift Jars! We will be at the Saline Black Friday Holiday Craft and Vendor Show Event from Noon-5PM. Come visit us at the UAW Local 892 | 601 Woodland Dr, Saline, Michigan 48176. On Small Business Saturday we will be at the PRCU Hall 1430 Oak St. Wyandotte, MI from 10am-3pm. There will be door prize giveaways. Free Parking $2 Entry to help local causes. Stay tuned for updates on the rest of our end of the year shows!